New Directions Publishing Corporation, 9780811209861, 132pp. 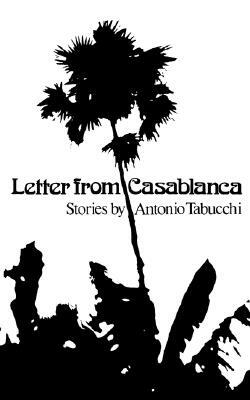 The eight stories contained in Antonio Tabucchi's Letters from Casablanca introduce to an American audience a rising Italian writer (born 1943) whose intriguing narrative strategies make the reader an active participant in his work. Each story can be seen from at least two perspectives, and each protagonist can be seen as experiencing an objective "reality" or having his own imagined and quite possibly distorted view of events.